Today I’m sharing my Fenty Pro Filt’r Soft Matte Foundation Review in Shade 100 with you. As a refresher, I have sensitive, dry skin. I also have rosacea. And I have seborrheic dermatitis. This is also known as eczema or psoriasis. It causes dry patches around my nose and eyebrows. Is Fenty Beauty Cruelty Free? Fenty Beauty claims to be cruelty free. They stated this foundation is vegan. When I initially emailed Fenty Beauty about their cruelty free status, I didn’t get a response but other bloggers said the company was slammed with their launch. I tried a short 2 question email. I just wanted to confirm that Fenty Beauty has no plans to sell in China or in any country that tests on animals? Thank you for your email. Does Fenty Beauty have plans to sell in China? Never. Fenty Beauty is a cruelty-free brand. We never test products or ingredients on animals, nor do we allow suppliers or affiliates to conduct testing on our behalf. Please let us know if we can help you with anything else. Details about the lighting for these swatches can be found here. 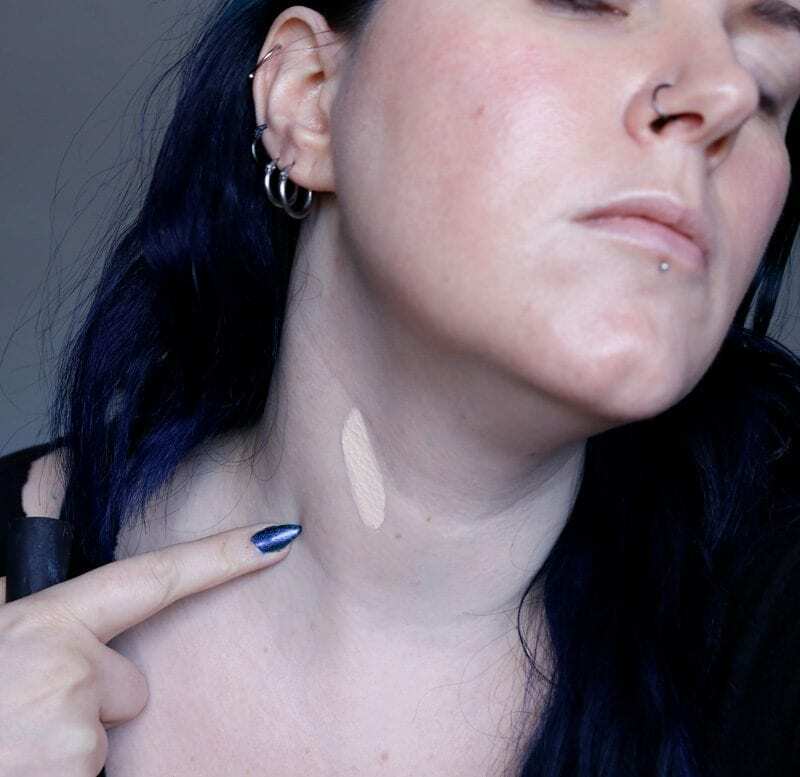 For those of you who don’t know, I match my foundation to the pale skin on my neck and chest. I don’t match to my face. 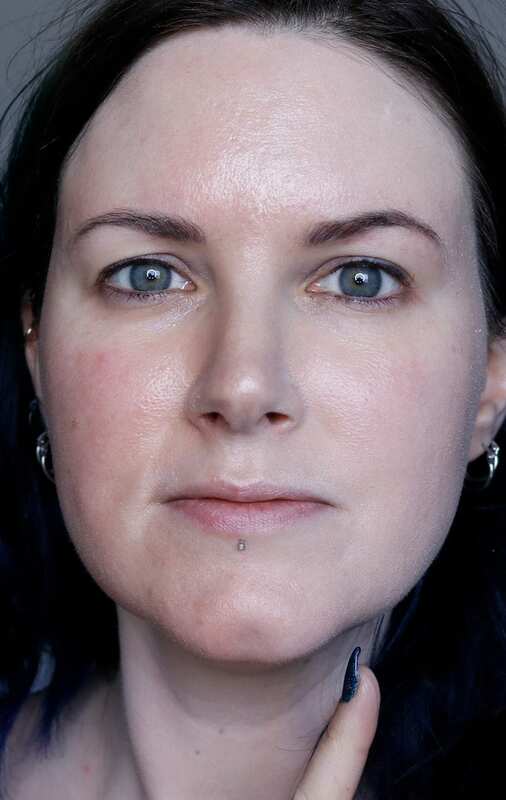 My face has a lot of surface redness from my rosacea. So my face appears darker or redder than my neck and chest. Since I don’t enjoy walking around with my head appearing darker than the rest of me, I match foundation to my neck and chest. That’s just what works for me. I took the photos below with natural daylight and my single ring light. I did not use any filler lights. I did not use any filters. I did not retouch these images at all. You can see all of my skin’s flaws, texture, and pores. 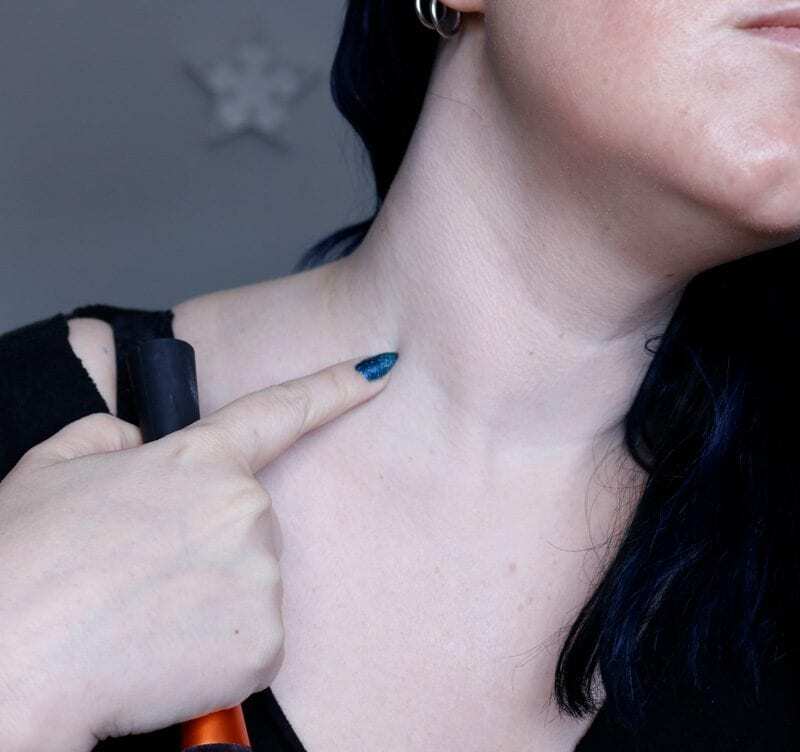 Initially, I feel like the Fenty Foundation in the shade 100 blends in seamlessly with my neck. 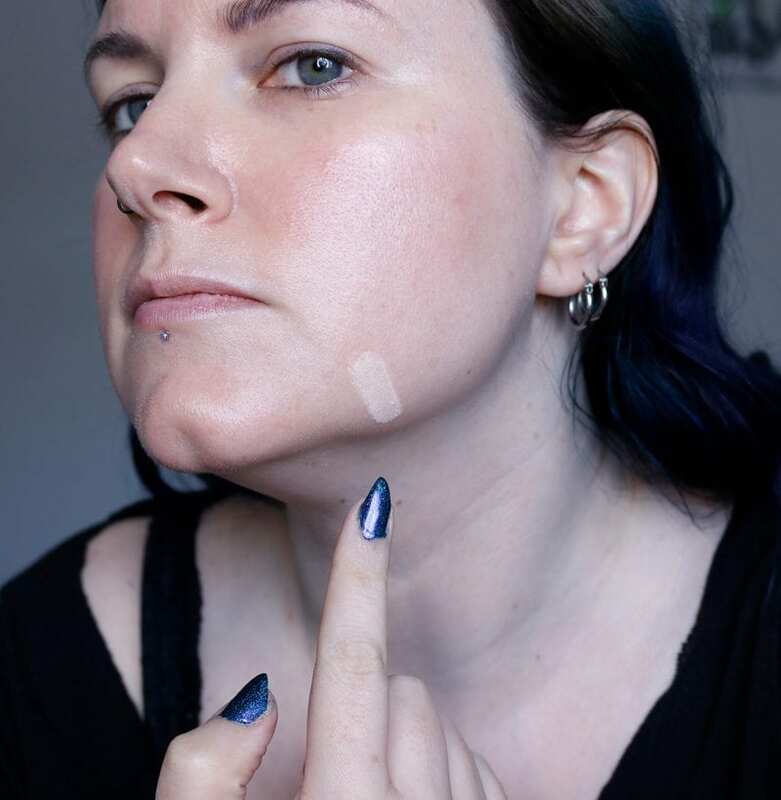 Here’s the Fenty Shade 100 Foundation on one-half of my face. 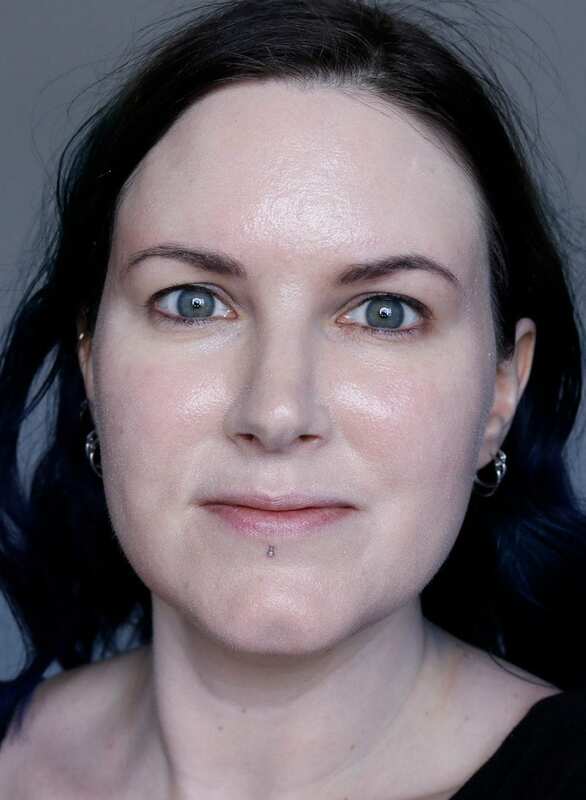 Here’s the Fenty Pro Filt’r Soft Matte Foundation in Shade 100 on my pale skin. What the Fenty Pro Filt’r Soft Matte Foundation in Shade 100 looked like after it was fully dry in natural, indirect sunlight. The shade looks off to me. My face looks significantly darker than my neck and chest. 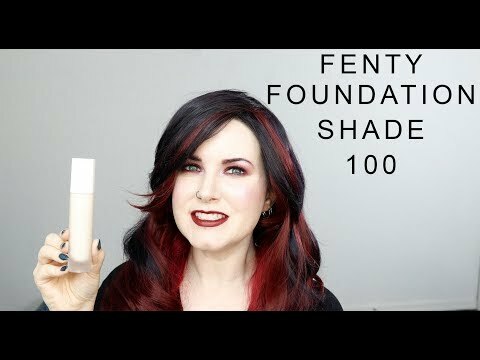 I hope you find my Fenty Pro Filt’r Soft Matte Foundation Review in Shade 100 on Pale Skin wear test and review helpful! Please be sure to let me know what you think of it! Looking for your perfect foundation? 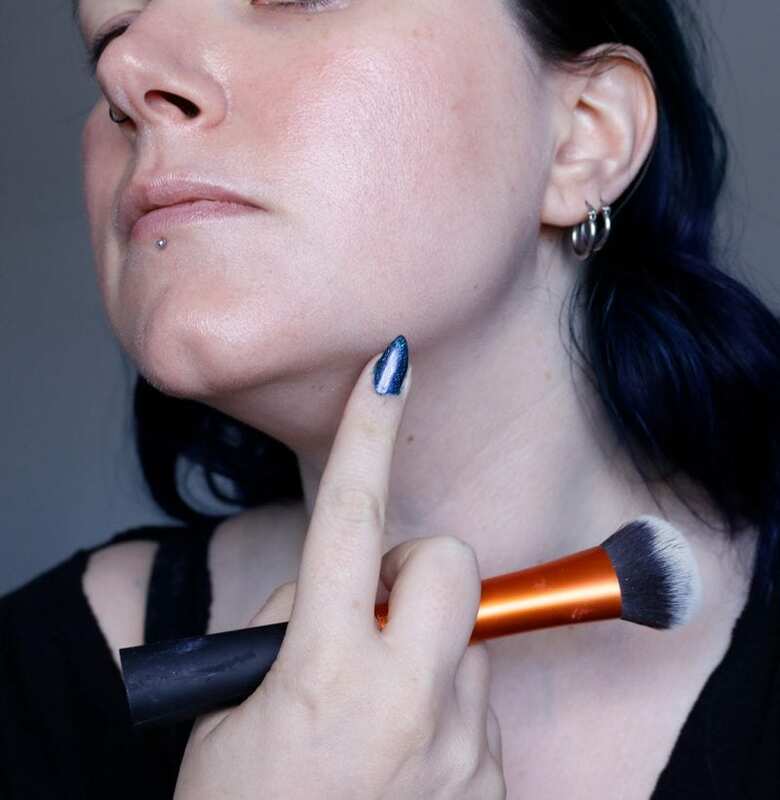 Be sure to check out my Best Foundations for Fair and Pale Skin Guide. 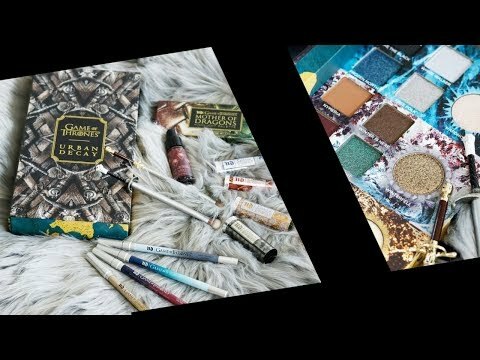 Next articleWhat’s Your Holy Grail Drugstore Eyeshadow Palette? 100% concur with what you said re: shade 100 drying down darker and the overall formula not being suited for dry skin. I swatched it on the back of my hand and at first it looked okay– like cool-yellow leaning, which would suit me– but over the next half hour it had dried down to darker than my hand and much more peachy/orange looking. It didn’t sit well on texture and I wasn’t willing to mess with primers to get it to work. 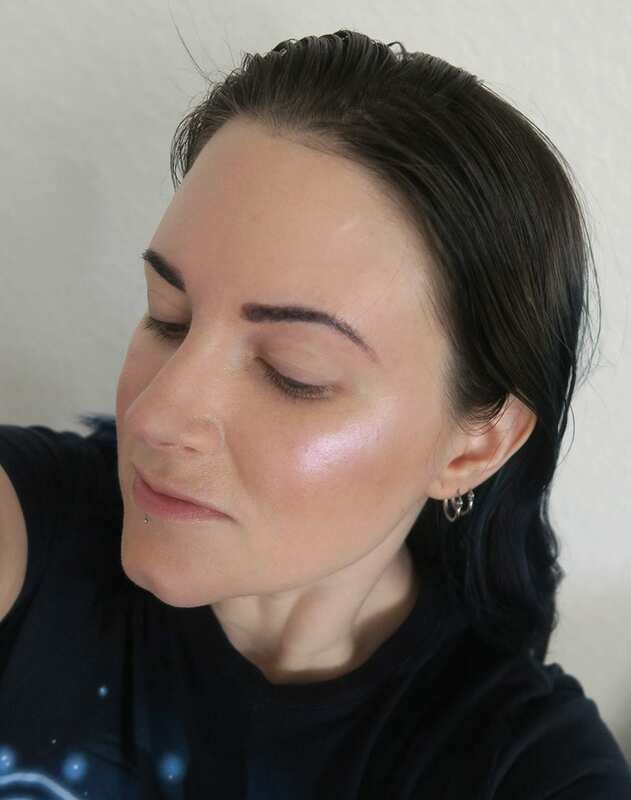 I did swatch her highlighter in Metal Moon which I liked– much more subtle than expected and definitely dupable though. Love MUG Celestial on you! I did want to say one thing– you mentioned you had seborrheic dermatitis and that that was the same as psoriasis. As far as I know, those are not the same thing– psoriasis is autoimmune and people with it often end up on immune suppressants and so forth. That’s too bad it doesn’t match for you! It looks good at first, but i guess it oxidizes a bit? 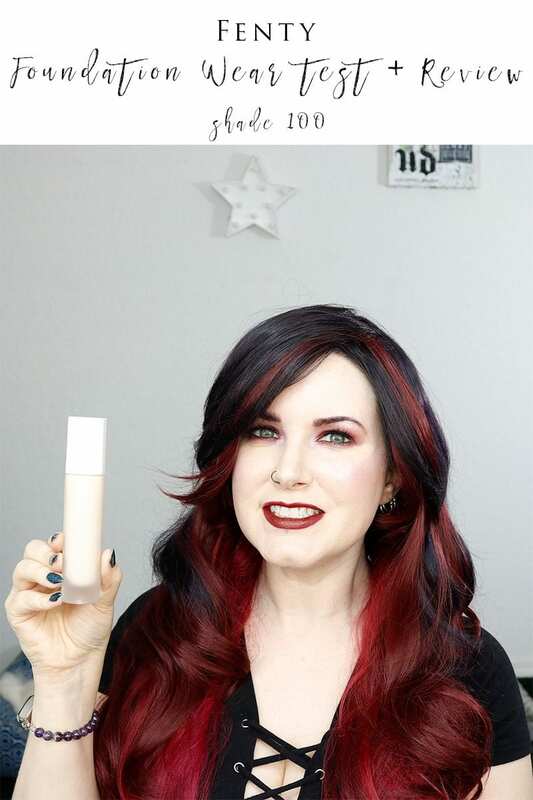 I’m dying to try this foundation out for myself! I just got matched but my shade is OOS right now. Can’t wait to get it! I hope it’s back in stock soon! Unfortunately for me, it dries darker than my skintone, so I’ll be returning it. There is currently no shade lighter than 100. Thanks for telling us that, because now I know that it won’t be light enough for me either. You and I are about the same shade. Happy to help! Hopefully you can see how it looks darker / off in the photos and video above. Thank you so much for this thorough review! I hate it when foundation oxidizes; it is SO frustrating. When I first scrolled through the pictures I was all, “What is on her cheeks?!? I must have it!” I should have known it was Makeup Geek Celestial highlighter. It looks amazing on you. It’s totally going on my Christmas list! Thanks for all you do for us pale ladies. It’s so refreshing to come to your blog and see things that I know will work for me. You’re welcome! So glad you love Makeup Geek Celestial. It’s my all-time favorite highlighter. 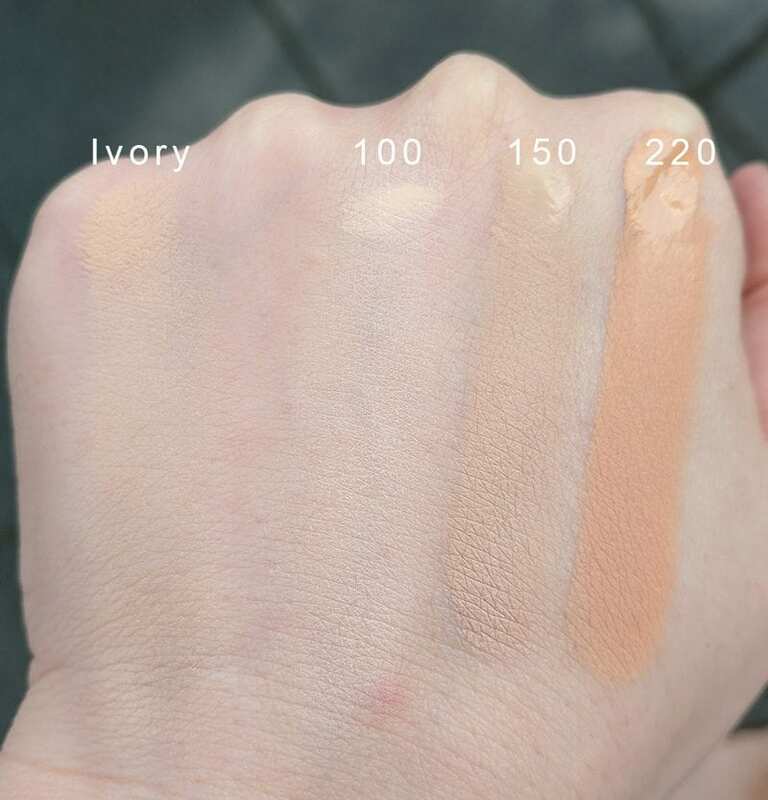 I’m sure people will complain that I’m being a ‘pale princess’ and complaining about how shade 100 doesn’t match my skintone perfectly, but I’m so sick of having to add white to foundations to get a match. I’ve been dying to hear what you think of this. It sounds good for my oily skin, but I’m worried about the fragrance. I hope it’s a great match for you! I was hoping that the stick foundation would work better on you than the liquid but it obviously oxidizes too much. I think the stick also makes your skin look drier than the liquid. You gave these a fair shot and unfortunately they just aren’t right for you. Agreed! The stick is so dry! I’m not really into this whole line, but I appreciate the honest review! I think it’s great that they launched with 40 foundation shades. Very few brands have that. That’s a really great match for you, Courtney! If only it stayed that way. After about 20 minutes it was off / the wrong color.